Hayden Boyd, Joey Gray and Josh Taylor are musicians – and problem solvers. As band members from multiple bands who saw a need for a better practice space and an all-ages venue, the trio founded Spacecamp, a music hall located at The Mill, at Mill Street and Mitchell Avenue in West Fondren. Boyd spoke with us about their founding and their plans and filled us in on this weekend’s show. Everyone involved with this is in a band or two. Dream Cult, Bad Magic, May Queen, Bob Chiz, El Obo, Fides… the list goes on. We used to all practice at my house in Belhaven, but it got to the point to where that’s all we did was have bands practice at our house. It got kind of annoying. We always thought having a practice space that we did shows at would be a cool idea, and then we found The Mill. So we started having shows and, if you notice, one of our bands is always on the bill, not to show off or anything, but that specific band’s cut goes towards rent. Essentially, we throw shows to keep our practice space. 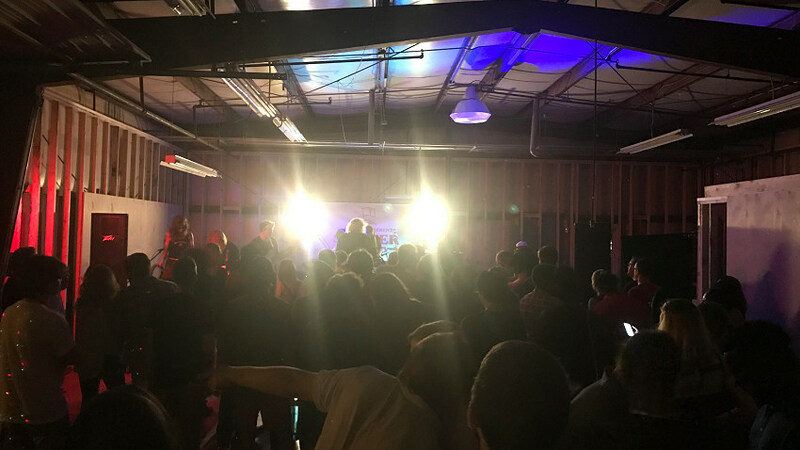 How and why did you decide to start a music venue? We decided to start throwing shows once we realized that all the all-ages venues were gone. Big Sleepy’s was the last one that didn’t charge more for being underage. You’re located at The Mill. Why this space? When we started looking for a space, we started with Craigslist. The same day we started looking, we found The Mill. We met up with (owner) Robert (Lewis) that night and he showed us what is now our practice space. We thought it was perfect. Everything with the shows worked itself out. What type of bands do you all lean toward and why? We book bands that we want to see, that we’re fans of. Usually, they’ll be around the area and have an off day around the south east so we will get them to come play on their day off. It’s just fun. We have a band, Splashh, from the U.K. coming to town that we’re all fans of. To see more and more bands coming through Jackson, even if it’s not at Spacecamp. I want a band to look on some other band’s tour dates and say ‘This band went to Jackson, MS, so add that to our route.’ I hear stories from my dad when he was younger of ZZ Top and Aerosmith coming to the Coliseum, back in the 70s and 80s, and it seemed rad getting to see your favorite band in the city you live. Tell us about Saturday’s show. We are very excited. The lineup is incredible and it’s something we’re very stoked to be involved with. Locals Fides and Dream Cult will open up the show, then The Evening Attraction followed by Post Animal, both from Chicago. Post Animal just released a great song called ‘Special Moment’ as well as an amazing video for the song. This will be their second time in the state of Mississippi, but it’s their first time in the city of Jackson. Doors open at 8:00 pm. Tickets are $10.